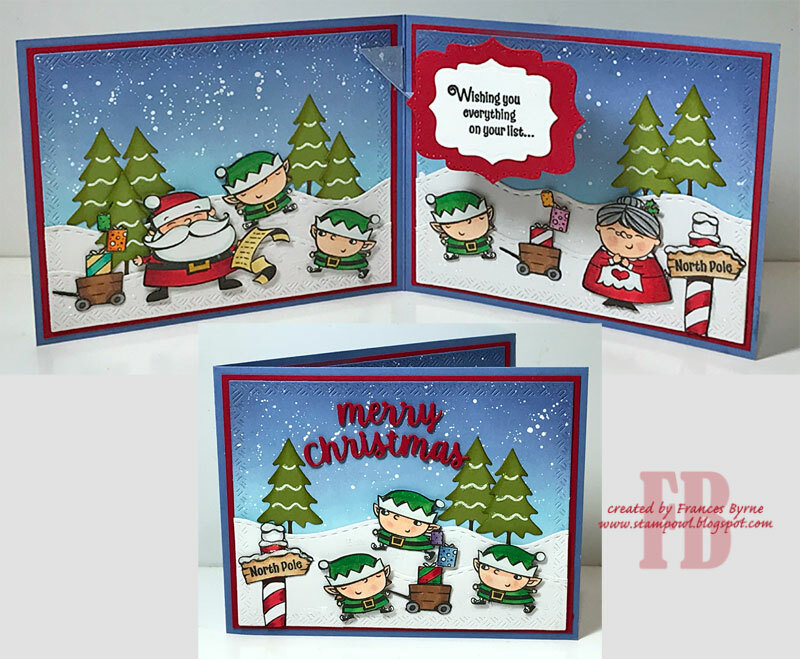 Welcome to our December Karen Burniston Designer Challenge. 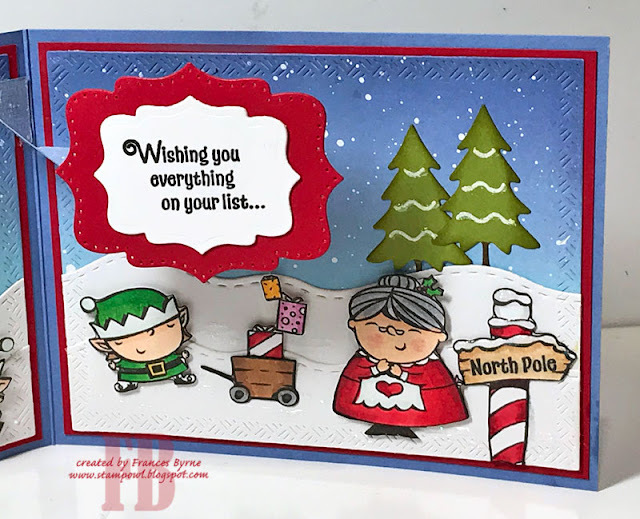 Check out Karen Burniston's blog on Wednesday (US Time) when you will be able to see what all the designers created for the challenge this month, plus Karen will have an amazing video tutorial to share with us all. Our challenge theme this month is .... "INK IT!" - incorporate inks (or paints, or sprays, or pastes) into a card of any theme. I have been having fun this year creating sky backgrounds using distress oxide inks. I love how easy they blend together and also the look of them to create daytime, nighttime or snowy backgrounds. I am not sure why I have been creating so many snowy scenes this year for Christmas seeing that it is hot where I live on Christmas day ... but I have been having fun creating them so that is what I decided to do for this months challenge. To create my scene I had die cut the largest rectangle from the Crosshatch Rectangles die set and then used Distress Oxide inks to create the sky. I used Picket Fence Distress Paint which I watered down slightly and splattered that all over my background. For the snow drifts, I die cut the same rectangle I used for the sky and then used the snow/dirt border from the Nature Edges die set. For the trees I used one of the trees from the Evergreen Pivot Panels die set, using the stencil feature to add white gel pen. For the pop up portion of the card I used the Katherine Label Pop-up die set. To decorate my card I used Stampin' Up's Signs of Santa Clear Stamp set. After attaching all the images to the card, I added White Blizzard Nuvo Drops to the snowy areas of the card. For the front of the card I repeated many of the elements I used on the inside of the card. I added the "Merry Christmas" sentiment which is from the Word Set 3 - Holiday die set. 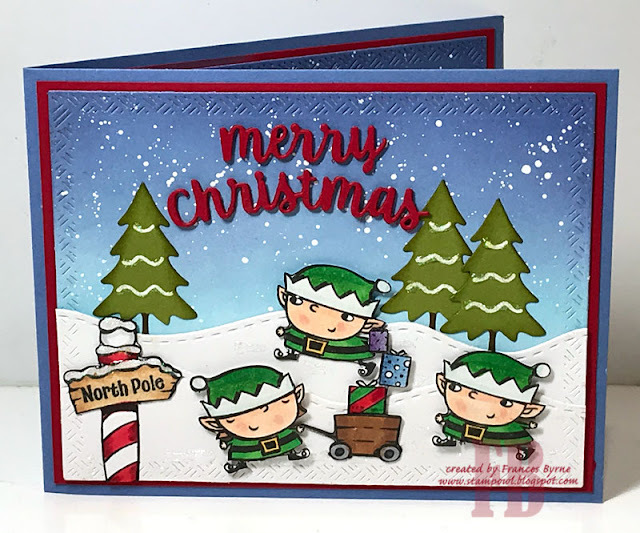 Don't forget to visit Karen Burniston's blog on Wednesday when you will be able to see what all the designers created for the challenge this month. 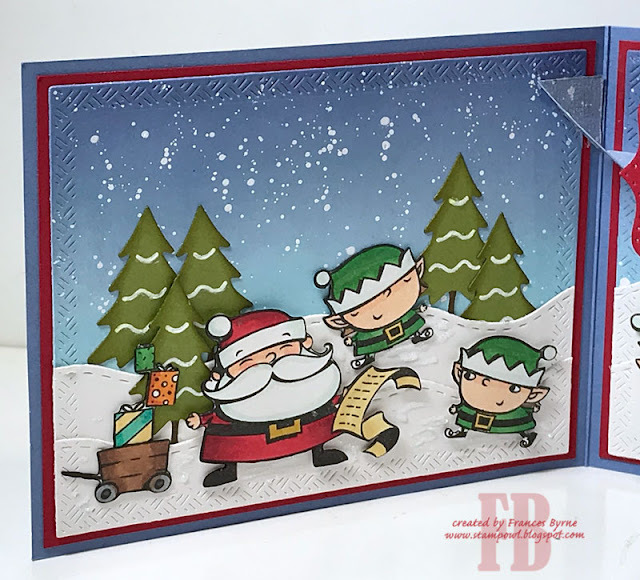 AWESOME card, using one of my favourite die sets with one of my new favourite stamp sets! Twins Are Twice As Nice! Buzzin' With New For You!